Why do you choose Come N Eat. Comeneat provides 6 awesome unique features which no other competitors are provides. We will help you to create Facebook page for your restaurants. 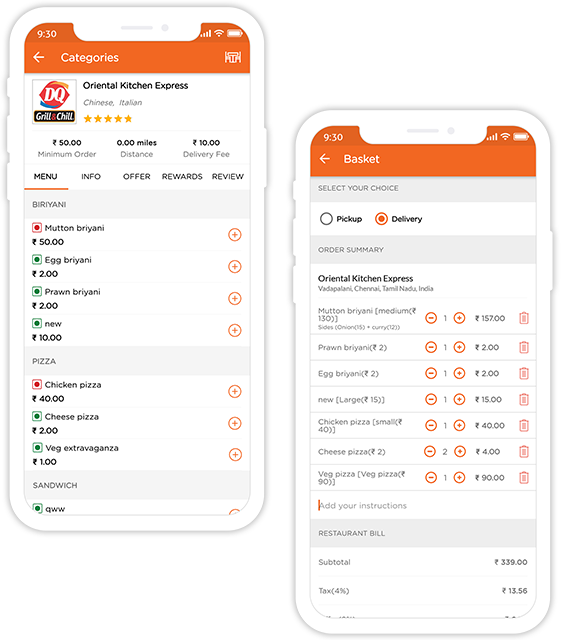 Once your customers click on “Order Now” button, they can see your menu items; select what they want to order and even pay for their order directly from your Facebook page. Every restaurant have their own static website. Comeneat provides restaurant's own menu ordering system to every restaurants. Comeneat provides small widget where we can copy and paste their own site. It is simple code where every one can do this. Customers have the option to add money by using debit / credit card in the wallet and can place the orders whenever they require. It secures them from payment failures and gives them seamless refunds when necessary. The owner can track the entire order system through the app and can view reports of all the orders and deliveries. System will support restaurants with their everyday operations in business by providing detailed analysis on customers. 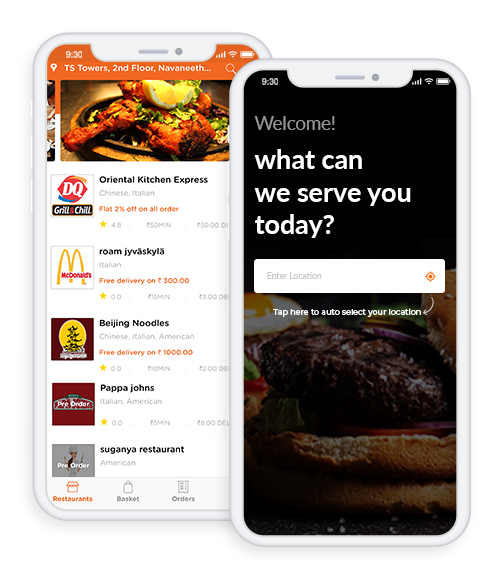 Creating a customer reward program is an outstanding way for restaurants to keep their satisfied customers returning for future business.Points-based rewards systems is a standout amongst popular loyalty program models among restaurants. 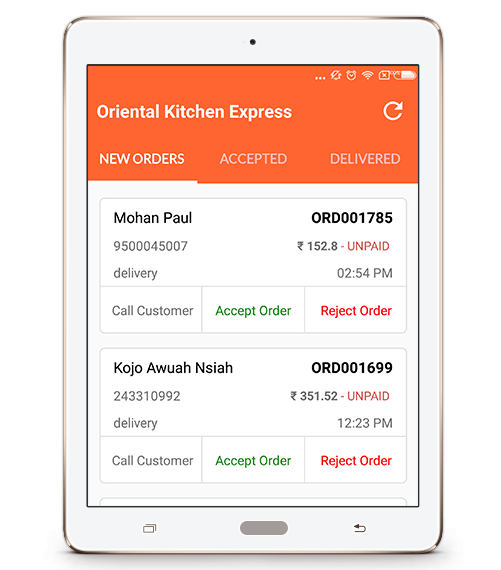 Driver will receive the notifications instantly when a dispatched order is assigned by the restaurant owners. Accordingly, they can proceed for the delivery process. The driver can easily receive signatures from the customers. GPRS printer integration provides a handy, swift and custom-made solution to the business. It involves integration of online system used at the online customer's end with the printer installed in the business office's end. Admin can create many vouchers as you want to preferable voucher single/multiple use, price/percentage offer and validity date. Effortlessly generate different coupon codes for discounts, special offers based on price rules for orders. Table reservation can be made by the customers in ahead by mentioning exact date and time which saves time during hustle hours or weekends when they dine in the restaurant. Table reservation can be done by just visiting the website or App. 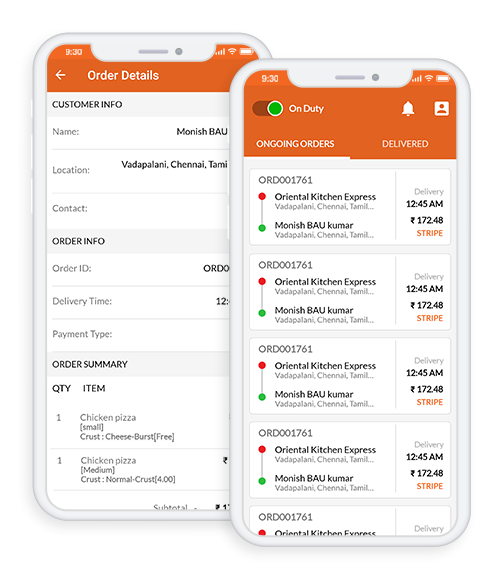 Comeneat 2.0 provides a special feature, "Dispatch system", on demand delivery management and tracking solution with features like order tracking, driver management, Manage driver, driver status, order details etc. Instant Order notifications are received by restaurant owners about new orders placed by the customers. When they receive these notifications, they can pass them to their internal order management system and then process the orders. Facebook Ordering What is this? GPRS Printer What is this?